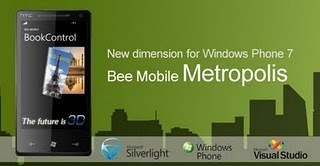 We are pleased to announce a new product – Bee Mobile Metropolis. BookControl - create a GUI in which users can flip through pages of a book. RegionControl - create clickable and highlightable regions of arbitrary size and shape. WaitingBar - let the users wait with style.